Outstanding presence and sensational projection! When crafting solid-shell drums, the stave-shell method is a far more realistic solution than searching out large, workable pieces of rare woods. The advantage of the stave method, in which uniformly sized “staves” are secured using small amounts of adhesive, is that it allows the shell to retain the sonic and vibrational qualities of the original solid material and also provides substantial strength & resilience. However, with many drums the thickness and density of the shell has been observed to noticeably reduce the natural resonance and sensitivity. 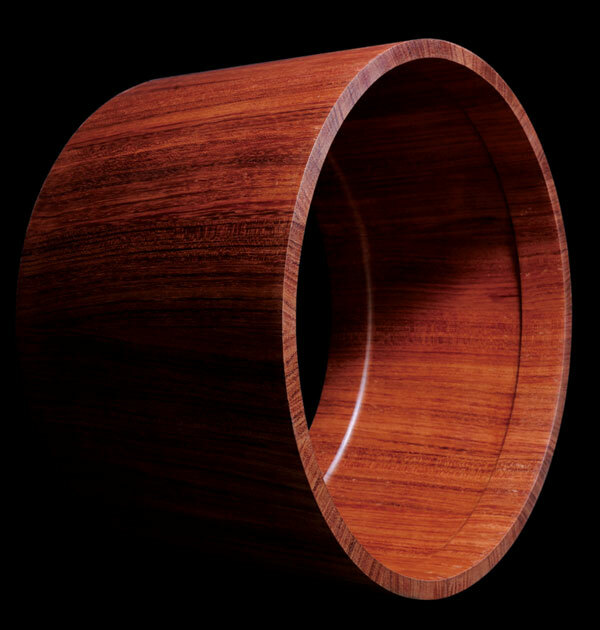 Our solution was to sculpt and shape the inside of the shell – thereby creating a natural “reinforcing ring”-style edge. This process, developed out of the innovative design theory of Canopus’ RFM Series – in which every shell size has a different size reinforcing ring, enables us to extract the full potential of each size shell. It allows a much greater transmission of vibration – resulting in noticeable increases in both sensitivity and power. The fundamental resonance is also greatly enhanced. The end result is a remarkable series of drums – outstandingly deep, powerful and dynamic. In any musical situation they will cut through with exceptional presence and projection. The deep, dark sound of these drums is an innovative addition to the Canopus range – giving drummers with yet another sound option and providing a startling contrast to all our other products. 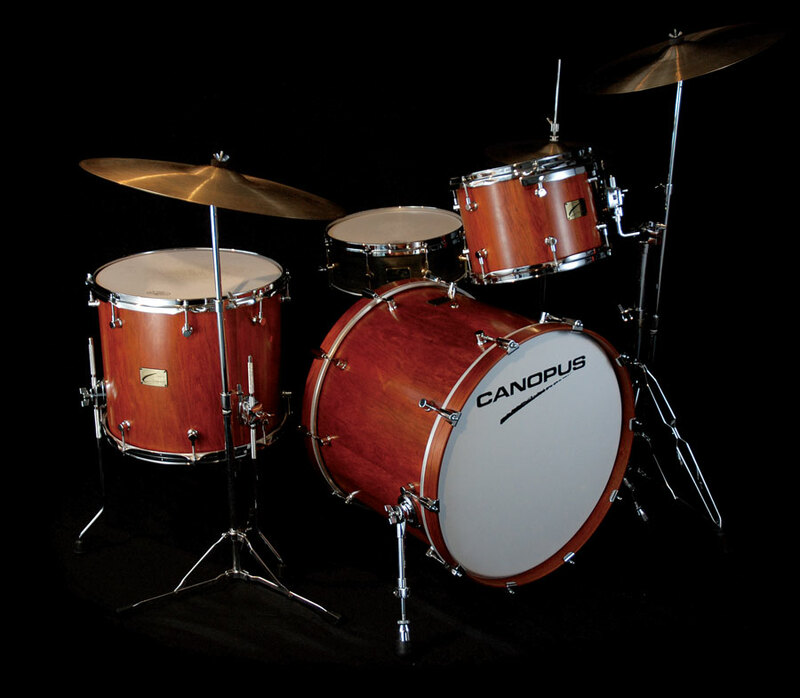 The drums of Canopus R&D Line have been developed in order to satisfy particular sound concepts created in the course of our ongoing research, and as a result of our commitment to meeting the speciﬁc needs of our endorsers. In our efforts to bring these “sound concepts” to life we use unique materials of outstanding quality. We strive to bring out the unique character of each material. The result is a series of drums which, though not necessarily “all-round” or absolutely versatile, possess an amazing individuality. While we regularly sell R&D line drums made to our suggested speciﬁcations, we are also able to accommodate customers’ special requests regarding bearing edge shape, hardware and colors. Tom Tom * Tom mount is included as a standard equipment. Bass Drum * Tom holder with base or without base are optional.